Memon Medical Institute Hospital Karachi Sindh. 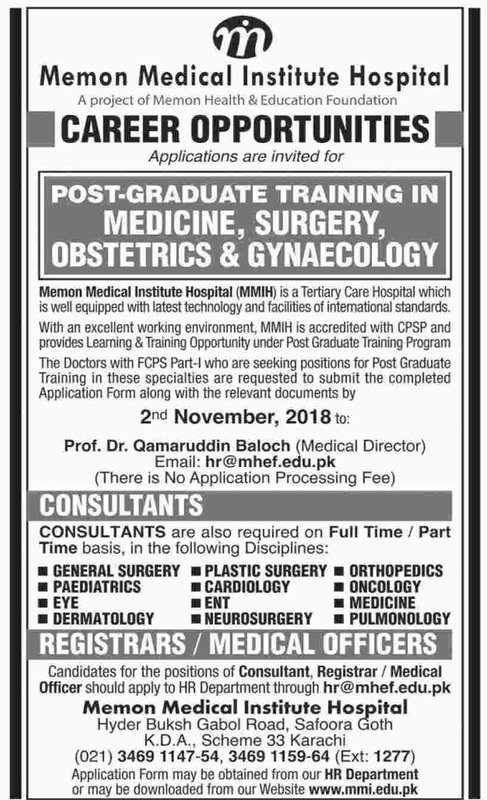 Memon Medical Institute Hospital (MMIH) is a Tertiary Care Hospital which well equipped with the latest technology and facilities of international standards, with an excellent working environment MMIH is accredited with CPSP and asides Learning & Training Opportunity under Post Graduate Training Program. Application Form may be obtained from our HR Department or may be downloaded from our Website www.mmi.edu.pk.